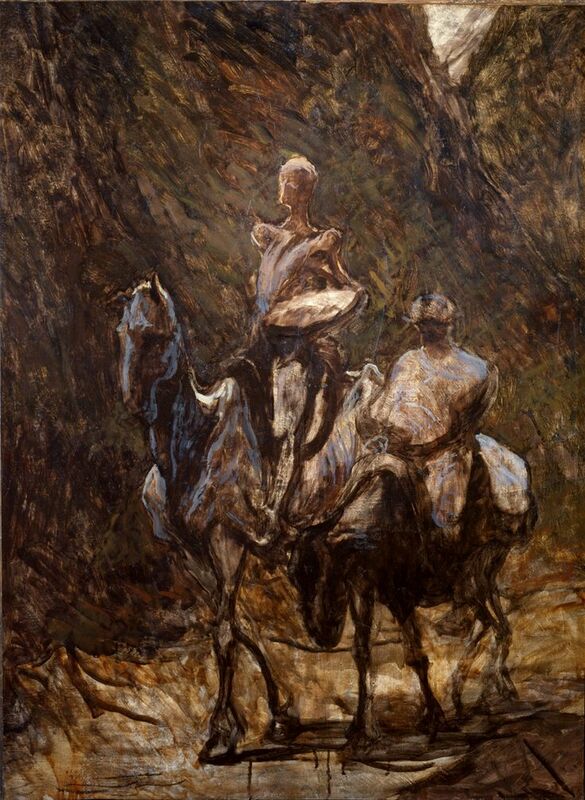 don quixote and sancho panzo, thin as possible given who they are, Spain centuries ago and current. as a dude i aspire to that very same quixotic look—mere and rugged—captivated by being pulled along through brier and swamp toward Redemption, and on the way we are loved. Don Quixote never asked for more. austere survival... lean, sinewy, masculine—musculature that remains 6 decades after not succumbing. dig the details of 'as I have loved you', seriously plunge into that when you've a moment. find images for "don quixote" and groove the pronunciation (sometimes only 2 syllables, the 'xo' pronounced like zh). there's an archetype here... bear with—tall, thin, committed to a delusional existence but who's to say, well meaning in the deepest, earthly sense. the quest is the answer to the quest. done in the name of honour, Love, and doing what is right i want to pull that deeper into my own life. keep an inner Light, my cosmically distinct expression of life. just had a way humble moment, way glad to be alive, wherein i was looking at centuries devoted to the archetype of Don Quixote and Sancho Panza, tens of thousands of human hours spent on articulating a singular feeling, that of the Man of La Mancha. As it should be, is as i dream and as i dream, so it is.